Healthy food is the key to not just physical well-being but also emotional health. It is a well-known fact that healthy eating habits are crucial for preventing chronic disorders like diabetes, hypertension, and many more. Recent studies have also shown that healthy and balanced diet can help in preventing and reducing symptoms of psychiatric disorder like depression, stress, anxiety, and bipolar disorder. Globally, people misconceive healthy diet habit as starving own body and depriving it from all sorts of delightful food. 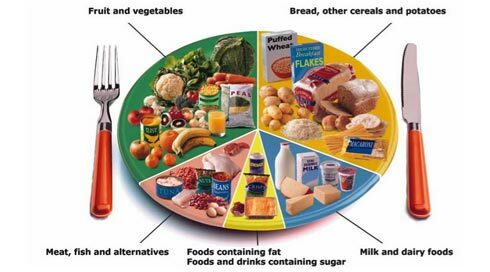 Rather, healthy diet should be a balanced diet taken in appropriate portion. Here are some tips for a healthy diet which can bring on a healthy life. Your diet must comprise an appropriate amount of carbohydrates, proteins, vitamins, mineral, and fats. Absence of any of these components can lead to various deficiency disorders. Never starve your body. An adult male and female must take a minimum of 1800 and 1200 kcal respectively, even if on a weight loss program. Avoid processed and tinned food along with fast food. Instead, opt for more natural and unprocessed food available in the form of fresh fruits and vegetables, whole grains, unpolished lentils and fresh poultry and animal products. 4. Reduce the amount of sugar and salt in your diet. Avoid saturated fats and Trans fats found in dairy products, red meat, margarine, and bakery items. Prefer oils containing monounsaturated fats and omega-3 and -6 fatty acids like peanut oil, canola oil, olive oil and sunflower oil.